When you think 150cc segment, you think one segment, maybe two categories right? Well not according to Honda. They have split the segment into four categories based on image. Focussed and sporty machines like the R15 and CBR 150R occupy the top shelf ahead of sporty but commute-friendly machines like the FZ16, CB Trigger and now the Gixxer. The lowest rung in the 150cc hierarchy consists of old school, no nonsense machines like the original CB Unicorn. 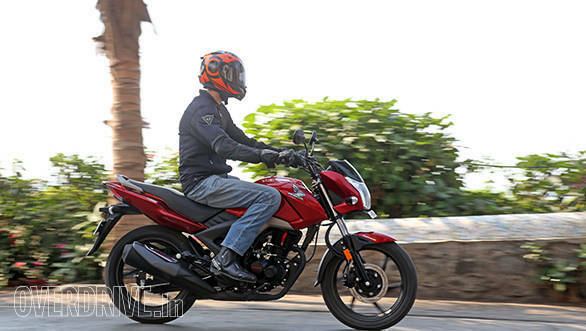 However, all the above three sub segments account for just 50 per cent of the entire 150cc market, while the other half is taken care of by bikes like the Pulsar and CBZ Xtreme. Honda describe these machines as premium, and aspiring towards sportiness but without sacrificing traditional virtues such as economy, comfort and restrained styling. 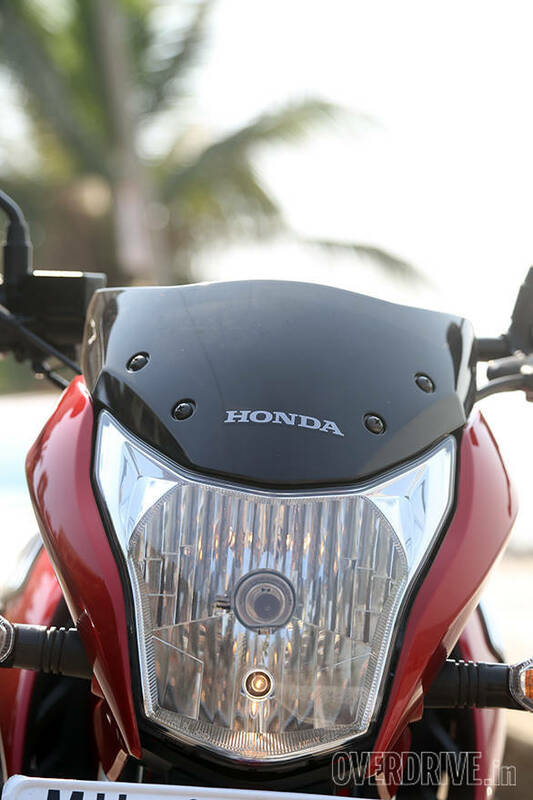 Honda feel that they currently don't have a product which fits the description which is what brought forth the CB Unicorn 160. So now you know why Honda think it should exist. The question is whether there is space for a fourth 150cc offering from the Japanese giant. Honda are clear that they aren't trying to upset the apple cart with the Unicorn 160, so you won't see any outrageous bodywork or over the top graphic schemes. In the flesh, the bike looks pleasing to the eye with a smart headlamp, restrained tank shrouds and some smart plastic cladding along the sides. Adding a bit of individuality is an H-shaped tail lamp and a well designed exhaust. It's not a particularly eye catching design but there are no offensive angles on it. Build quality is typical Honda in most parts but the plastic panels along the side and under the tank are quite flimsy and flex easily. Switchgear is also typical Honda as in it gets the basic job done but doesn't feel very special. The lack of a kill switch is quite disappointing as well. The seat is new and longer than the one on the Unicorn - it's a nice balance between soft and firm but I did find it a little painful after an hour of riding. Since the engine and seat are new, Honda say that they have engineered a new frame to fit the changes. The result is a motorcycle that weighs 8kg less than the old Unicorn and 2kg less than the Trigger at 135kg. Suspension at the front and rear remain the same though. The Unicorn engine has seen quite a lot of changes. In fact, Honda say that it's new from ground up. The main changes from the old engine include a longer stroke and the addition of a counter balancer to smooth things out at high revs. The engine now displaces 13.9cc more than the standard Unicorn at a 163cc. New bearings and a new cylinder sleeve design help improve heat management and combustion efficiency. Compression ratio has also gone up from 9.9:1 to 10:1. You can see the changes from the outside as well with a new crankcase design that features small fins around the oil filter area. Transmission remains the trusty 5-speed box that still comes with a heel toe style shifter. Thumb the starter and the engine springs to life before settling into a smooth idle that feels familiar for this engine. But blip the throttle and the engine feels a little more eager to rev. A more throaty intake, similar to the one in the Trigger, replaces the traditional whine this engine used to make and it doesn't sound bad at all. Throttle feedback is crisp and the motorcycle feels quick to respond to inputs. The engine redlines at about 9,000rpm but starts to feel a bit flat above 8k rpm. Pleasantly, it's quite torquey at low revs and will respond in second gear at walking speeds without complaining. Rev it out and you will find a motorcycle that feels more willing than its siblings. Honda quotes a top speed of 106kmph but I managed to see 110 on the clock with still a little more to come. The gearing is well suited to city use with a taller fifth gear that allows 100kmph just above 7,000rpm. At that speed things remain reasonably calm and smooth with just a hint of vibration in the footpegs. Touring on this bike wouldn't be too much of task. We haven't tested it yet but performance seems in the same ballpark as the FZ16 or Gixxer. Honda claims 62kmpl which we will ratify in a short while. The Unicorn 160 has an upright riding position designed for comfort in the city. We haven't taken the bike out to a set of corners yet but the chassis feels nimble and happy to change direction in traffic. It is light on its feet but doesn't quite have the same planted feel as some of its rivals. I also suspect the MRF Nylogrip Zappers (80/100x17 up front and 110/80x17 at the rear) will call it quits before the chassis reaches its limits. The suspension is on the softer side but has enough damping to ensure good ride quality without thudding through potholes. Like its older siblings, there is still a large amount of dive when you get on the brakes. The bike we have on test comes with Honda's combined braking system that, like in the Trigger, works quite well. However the front brake has been set up to be unintimidating and doesn't really do much till you give the lever a good pull. Still, this is a quick and fun motorcycle to carve traffic with and we think it's the nicest riding motorcycle on the Unicorn platform yet. But I'm not sure yet if it will be equally at home in the mountains. 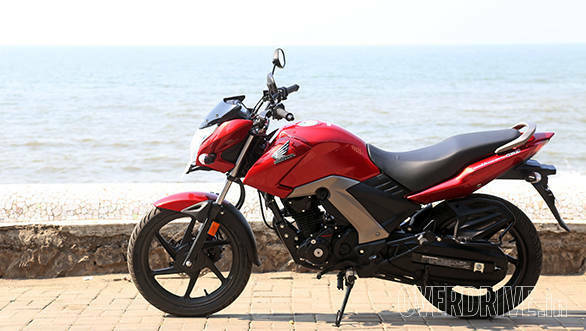 What makes the CB Unicorn 160 a confusing motorcycle is that it has more power and weighs less than the Trigger, a motorcycle that Honda is positioning as a more sporty offering. 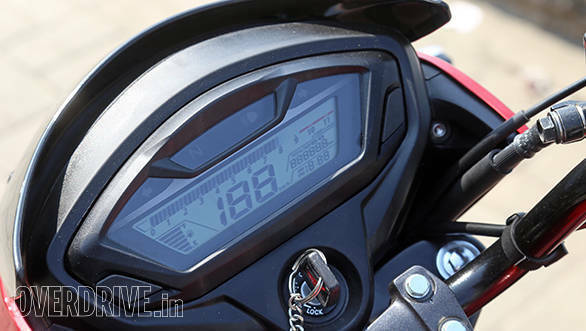 The Unicorn 160 STD costs Rs 87,000 (all prices on-road Mumbai) which makes it Rs 7,000 more than the old Unicorn. But here's where it gets interesting - the base Unicorn 160 costs Rs 4,000 more than the base Trigger. Only the Rs 94,000 top end Trigger CBS (which gets a rear disc vs the Unicorn 160's rear drum) is more expensive than the Rs 93,200 top end CBS-enabled Unicorn 160. So unless someone is really excited about the way a Trigger looks, we can't see any reason why they wouldn't have the definitely nicer riding Unicorn 160 instead. In which case the Unicorn 160 will steadily cannibalise its elder brother's sales until Honda quietly takes it out of production. Or maybe that was the plan all along. 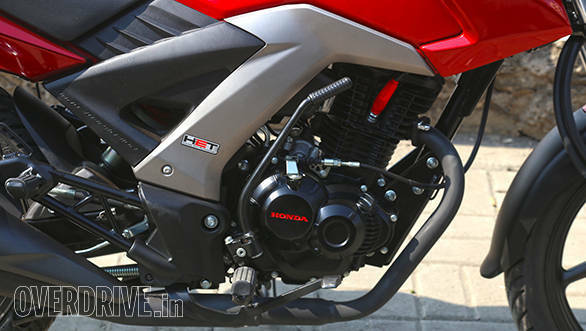 Analysis: Could the Honda CB Unicorn 160 replace the old Unicorn and the Trigger?